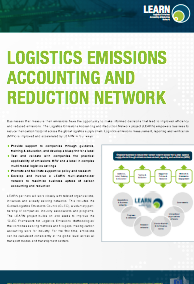 SFC's GLEC Framework was developed as a universal method to calculate logistics emissions and help companies take that first step. The EC's funded LEARN project helps to advance the GLEC Framework that is also adopted by CDP. If multinationals take responsibility for the cocoa farmers, then why not for the truck driver or other people who take the cocoa to the port and beyond? The industry was quick to pick up on SFC's call for action with a Put up a freight article and Rick Scobey, President of the World Cocoa Foundation tweeting "Important point - we need to monitor and reduce CO2 emissions in the logistics supply chain. For Sophie's presentation, please click here.